Title : this is the main title of the section. Description : the description of the section. Image : you can upload an image for this section, this will be displayed on the right side of the title and description. 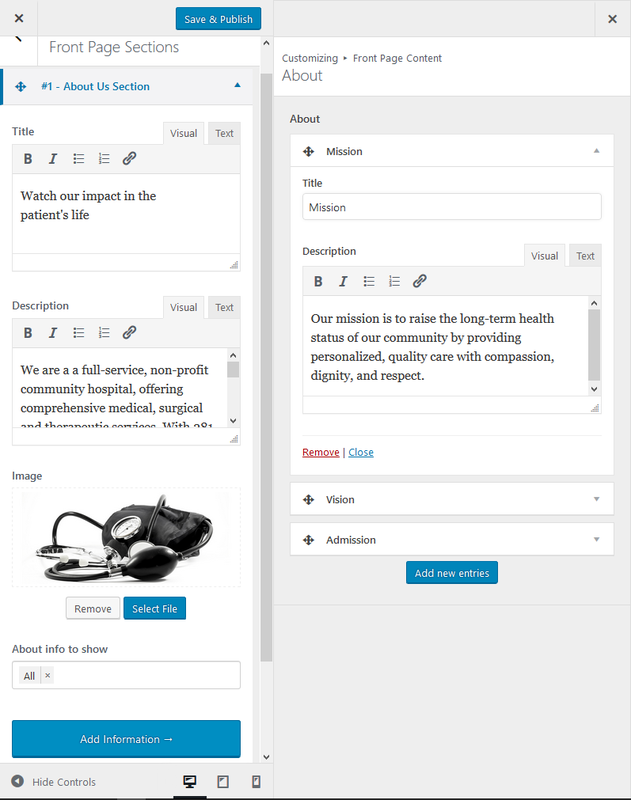 Add information : you can use this to add information regarding your practice. About info to show : this is a multiple selection field where you choose what information to display from your added data.